If you’ve ever been to the dentist (and hopefully you have), you’re probably familiar with nitrous oxide. 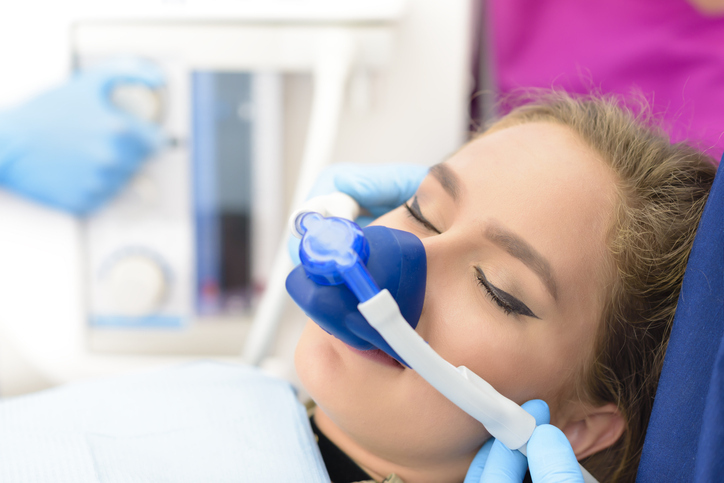 Often called laughing gas or sweet air, nitrous oxide is a common form of sedation dentistry that produces a euphoric effect. Nitrous oxide is provided during dental procedures to relieve dental anxiety in both children and adults. Nitrous oxide is a gas that is administered through the nose and exhaled through the mouth, eliminating it from the body almost immediately. Before receiving dental treatment, a mask is placed over the nose of the patient. This allows the dentist to work on the mouth uninterrupted. After a few minutes, the effects of the nitrous oxide start to take place. Although you will not get the giggles, you will experience a light airy feeling. Do not get too comfortable though, because it ends once the mask is removed.